Today's students expect their schools to offer a technology-rich environment filled with blogging, social media, digital resources, and more, but too many schools are missing the boat and not providing these types of learning opportunities. 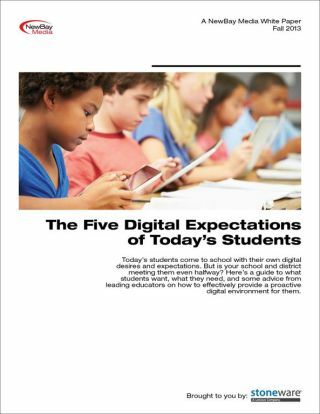 Find out more about the digital expectations of today's youth and how your district can easily and affordably deliver on them in a new white paper. Click here to register and download.